Coastal blue carbon is a term that recognizes the role of coastal wetlands in the global carbon cycle. Mangroves, tidal marshes and seagrass meadows (collectively called coastal blue carbon ecosystems) sequester carbon dioxide from the atmosphere continuously over thousands of years, building stocks of carbon in biomass and organic rich soils. This ecosystem service is in addition to other ecosystem services provided by coastal wetlands that underpin fish stocks, maintain food security and contribute to filtration of sediment, protecting coral reefs and populated coastal lowlands from erosion and flooding. 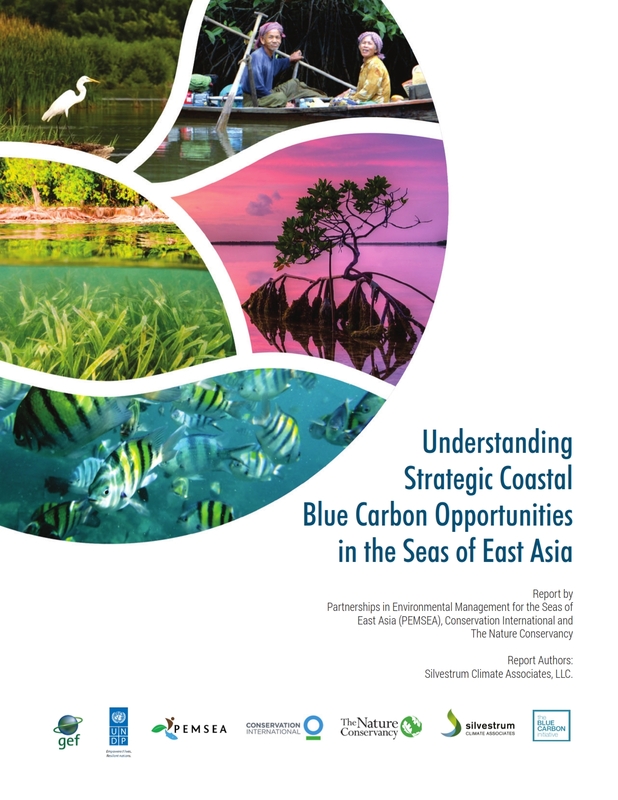 This report seeks to better understand the status of coastal blue carbon ecosystems in East Asia and raise awareness of the opportunities to include improved management of these ecosystems within climate mitigation and adaptation actions and commitments, including opportunities to access new forms of financing. It geographic focus is on countries with coastal ecosystems that have signed the Sustainable Development Strategy for the Seas of East Asia (SDSSEA), specifically: Brunei Darussalam, Cambodia, China, DPR Korea, Indonesia, Japan, Malaysia, Philippines, RO Korea, Singapore, Thailand, TimorLeste and Viet Nam.